Whatever you’re looking for—Jewish learning, worship, or community—you can find it as part of the Beth David family. You’ll find that your fellow members represent a wide spectrum of Jewish life. Some grew up steeped in the tradition. Others have returned to their religious and cultural roots after some time away. Some were raised in other traditions and chose Judaism. Some are questioning and seeking. And we welcome intermarried couples who are interested in leading Jewish lives. 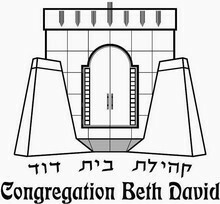 Wherever you are in your Jewish life, know that you are welcome at Beth David. As we like to say, There’s a place for me at CBD.